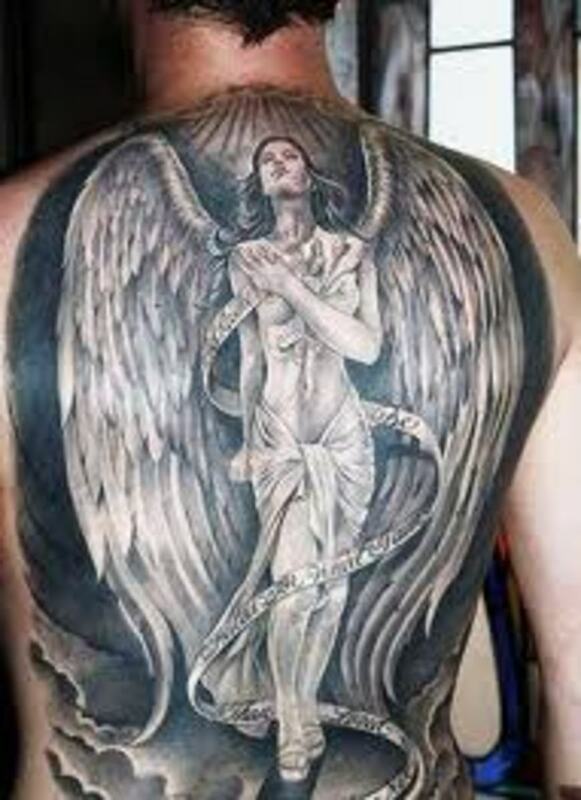 Angels make wonderful tattoos. 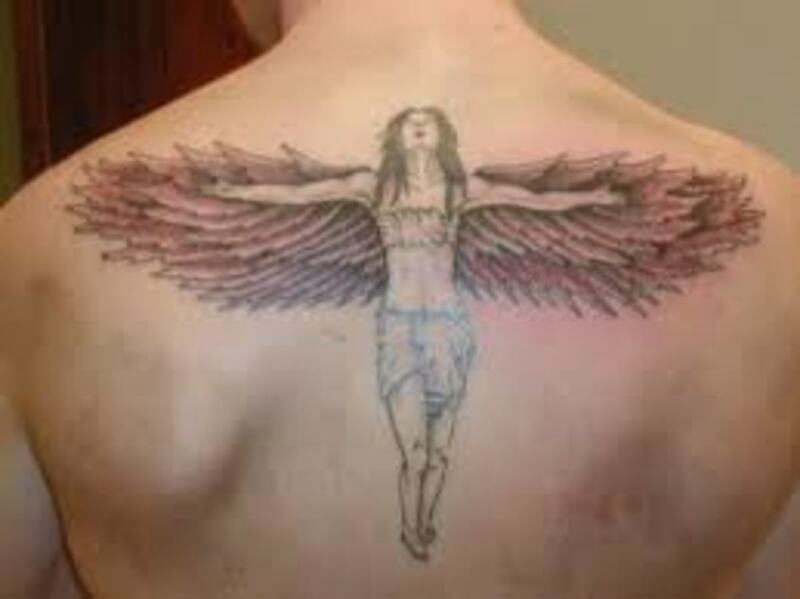 There's a huge variety of designs and meanings to draw inspiration from, and angels usually have a deep emotional meaning for the wearer. 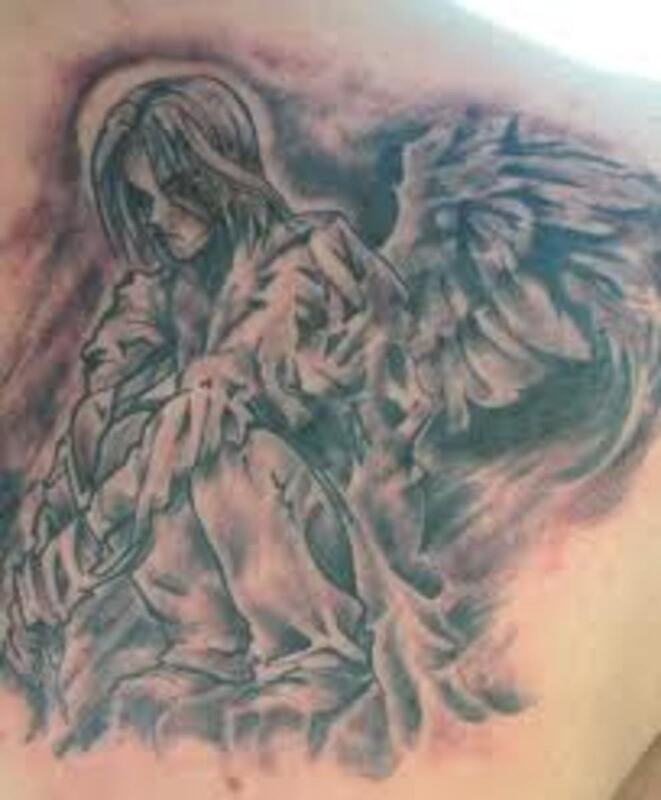 There are few designs that can match the beauty and meaning of angel tattoos. They usually carry a deep symbolic meaning for those who wear them. They can be worn for a variety of reasons and serve many different purposes. Angels are well known all across the world, and they are part of Christian, Islamic, Jewish, and other religious belief systems. 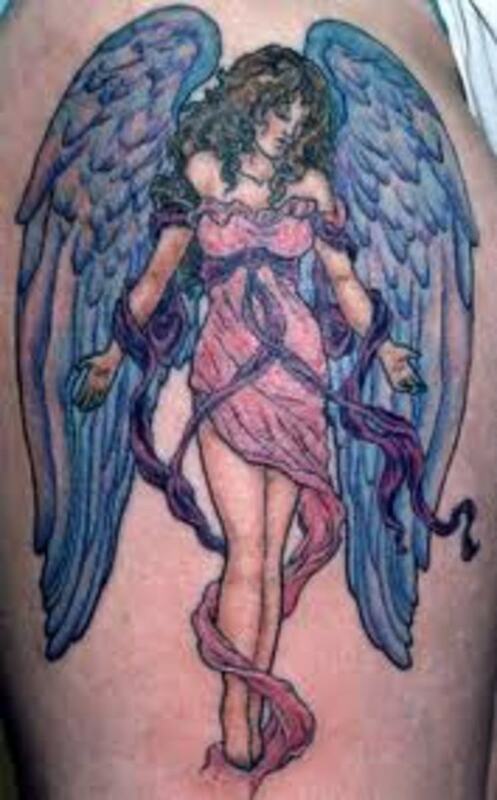 All of these characteristics make the angel tattoo highly sought after and popular. Most of us already know what angels are and what they represent. They are believed to be messengers from God. 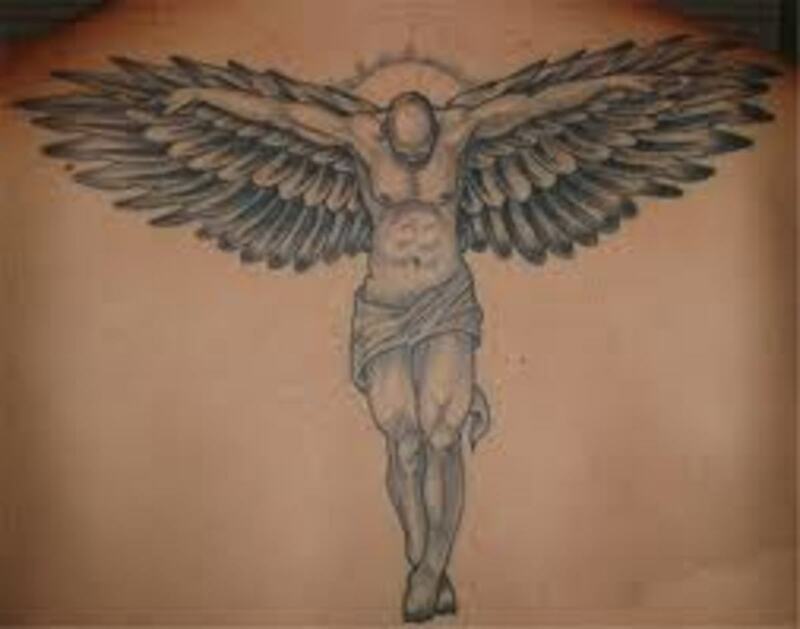 In fact, the word angel in Latin means "messenger of God." Angels have a variety of special talents, skills, and powers, such as the ability to travel from the heavens to earth and back. Angels are servants of God and represent everything good. Angels also protect the realm between heaven and earth. The most common association with the angel is protection. It is believed that they watch over us and to protect us from evil. 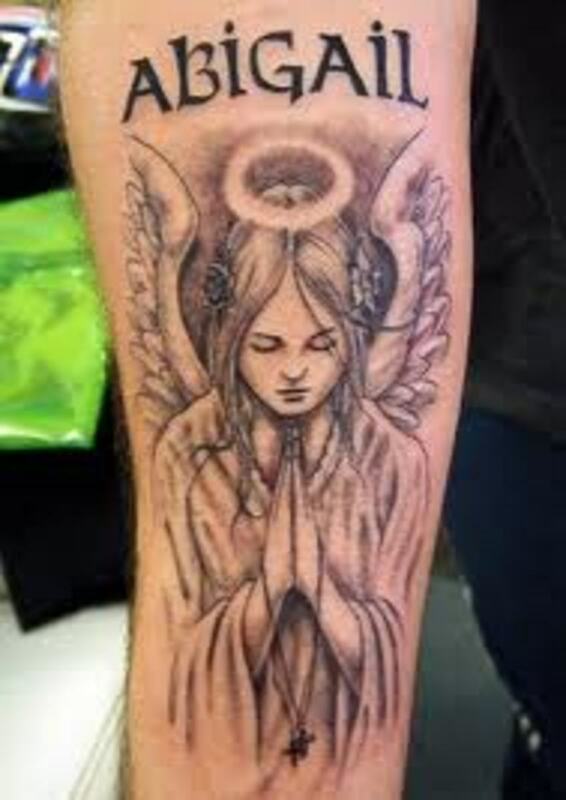 Many people believe everyone has a guardian angel watching over us who is with us when we are born, through our life, during our death, and who guides us into the afterlife. Some angels were thrown out of heaven for their rebellious acts, and are known as fallen angels. They proudly served God in the beginning but were thrown out of heaven for their evil deeds and ways. They are a symbol of suffering, pain, and sadness. Some people may choose a Cupid. Cupid is known as the "angel of love." 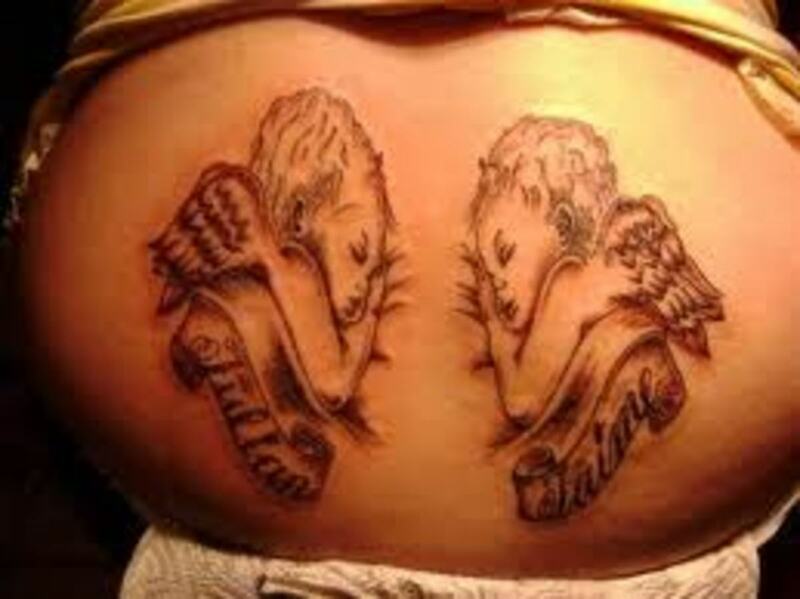 Baby angels are another popular choice, especially for women. Besides fallen angels, some people choose to have a devilish angel. 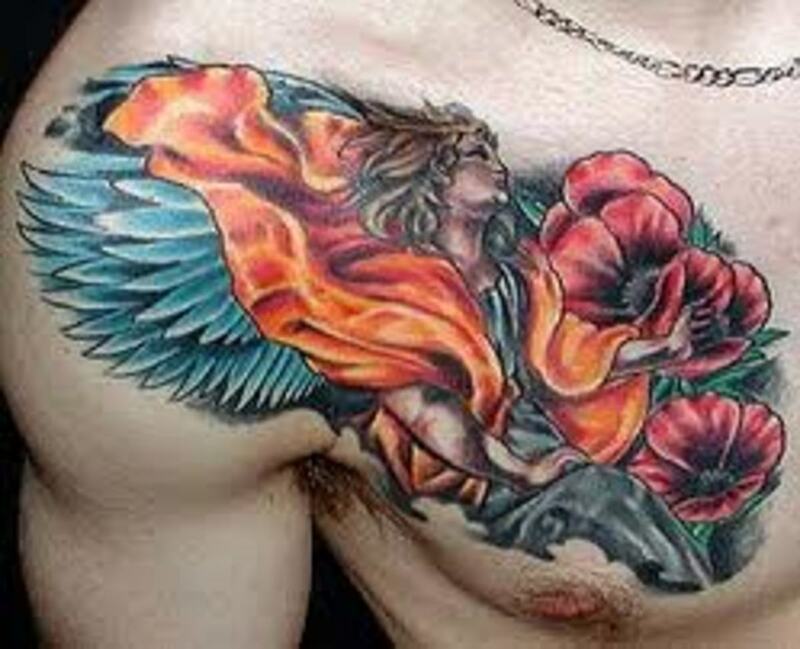 There are many different ways to portray your angel in a tattoo. The options are endless, which is another reason it is so popular. 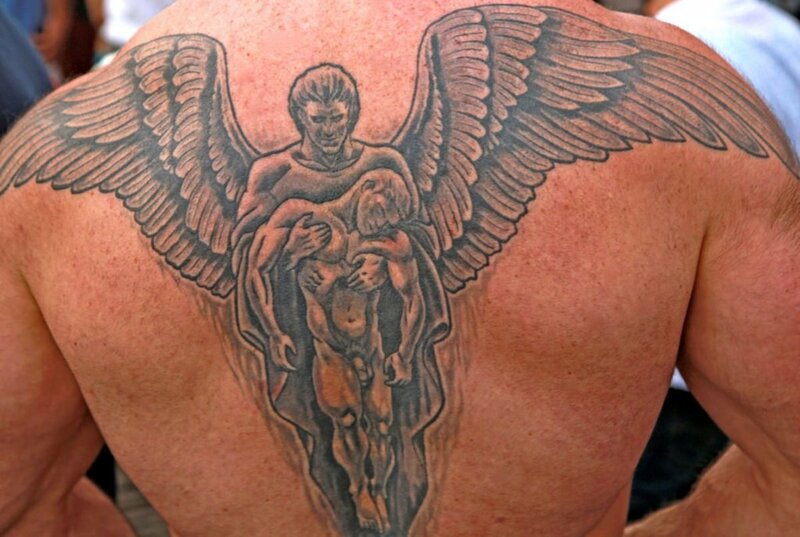 Since guardian angels are so popular, we will now take a closer look at them. In most designs, they are usually shown with a glow or shine of some type behind them. They are usually floating, but they can be grounded. They are always looking down or to the side in a protective manner. They can be male or female. 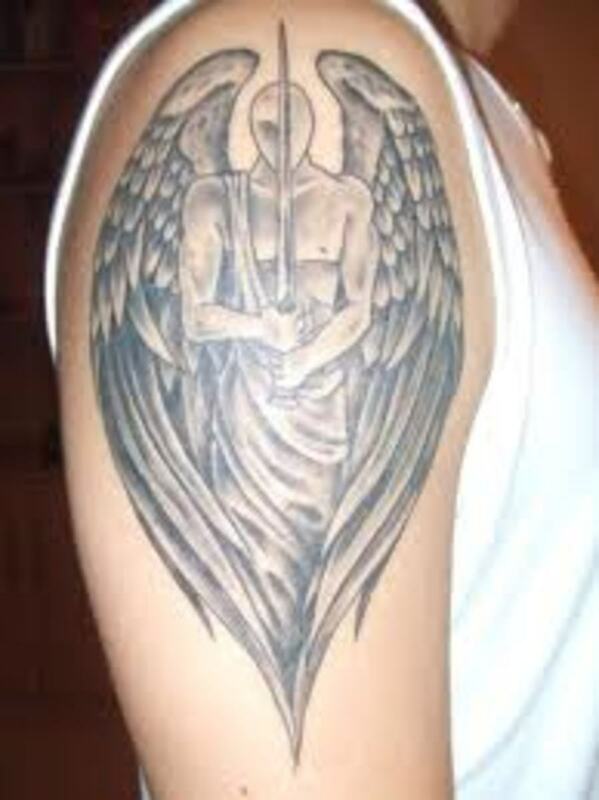 Male guardian angels may be shown holding a sword or other weapons. 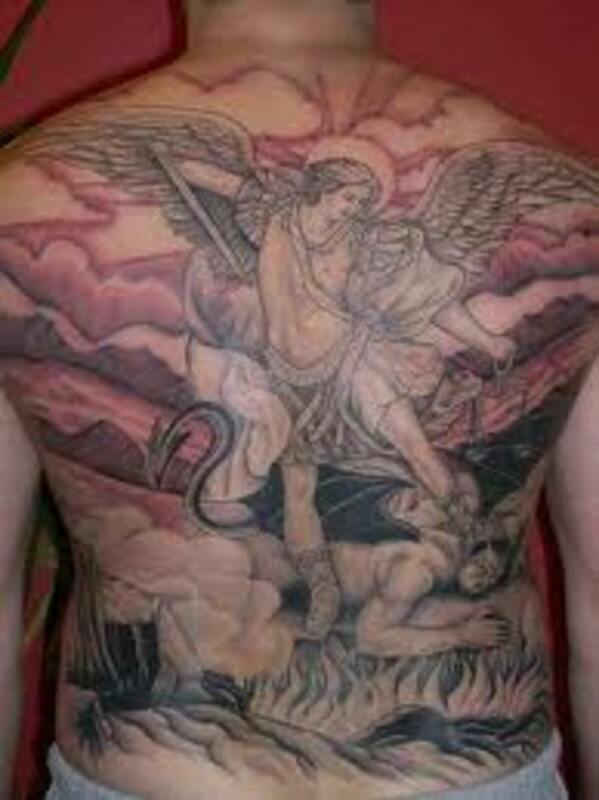 Some designs show them defeating an evil angel or the devil. It is usually shown looking up to the heavens as it remembers what once was. It can be shown looking down also. 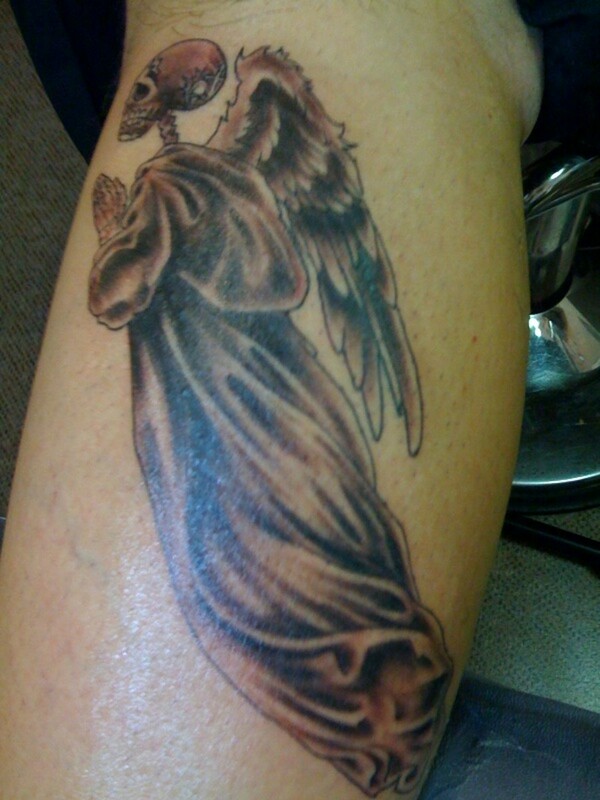 Some tattoos show the fallen angel on one knee with his head down. Some designs show it with its head tucked between its knees, sitting down. 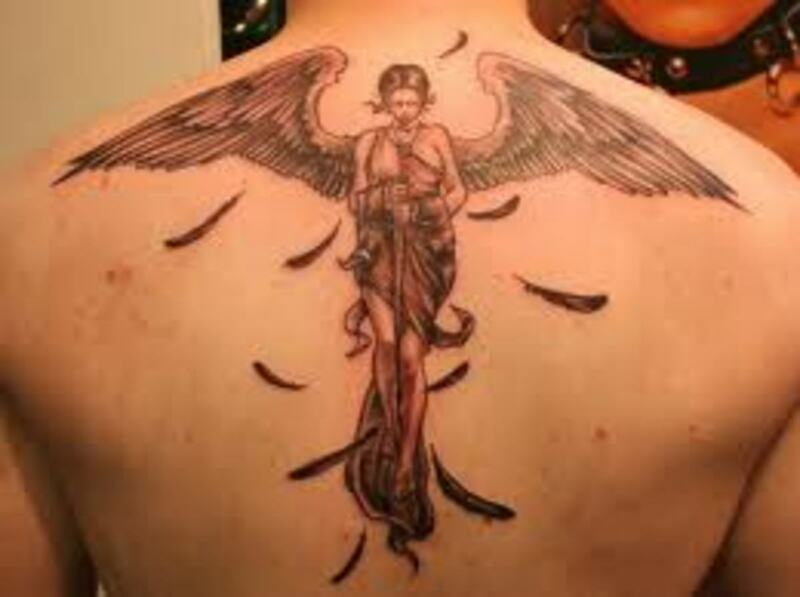 Others portray the angel with a broken wing. 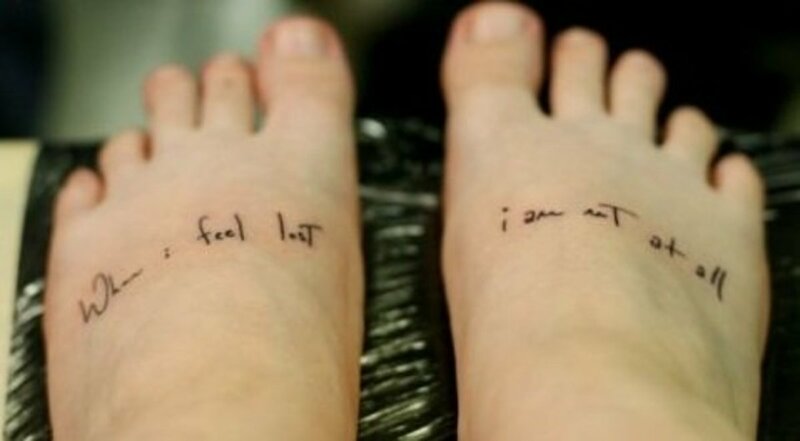 These tattoos don't always represent something negative. 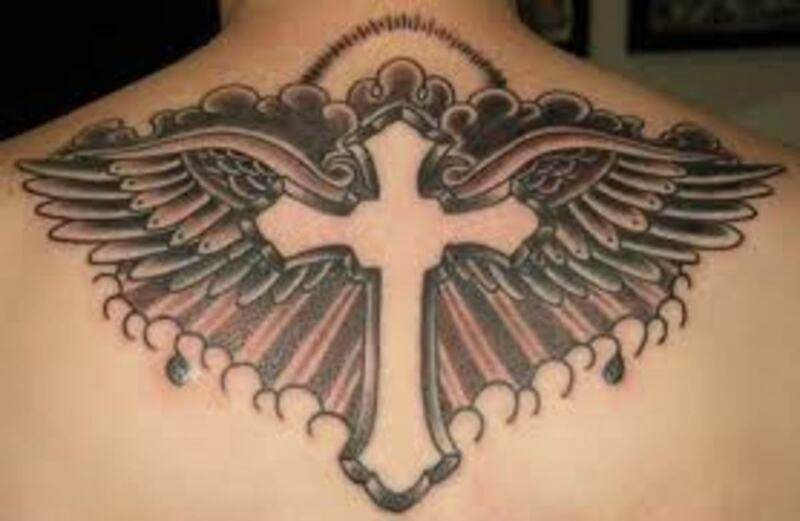 They can also represent rising above a troubled past or event. 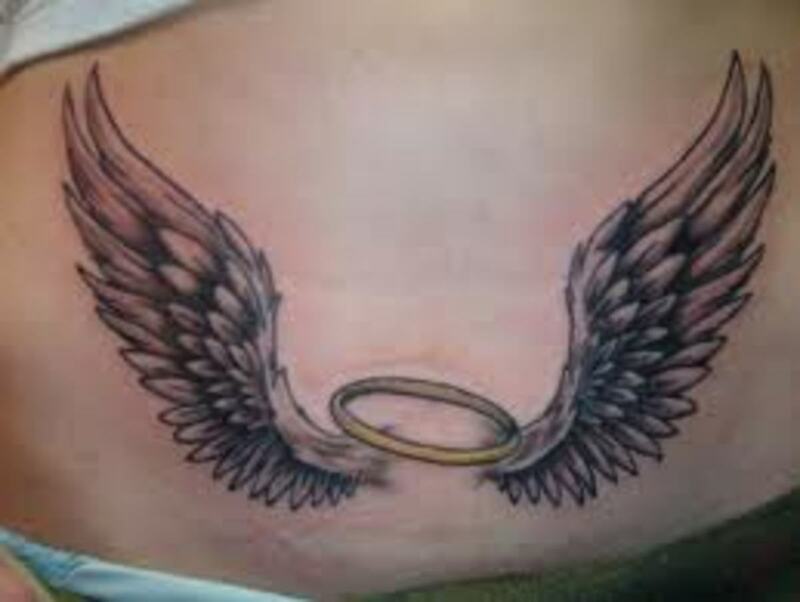 Angels also change meaning depending on the wearer. For example, on women, they are thought to represent serenity and calmness. On men, they may represent the higher self. 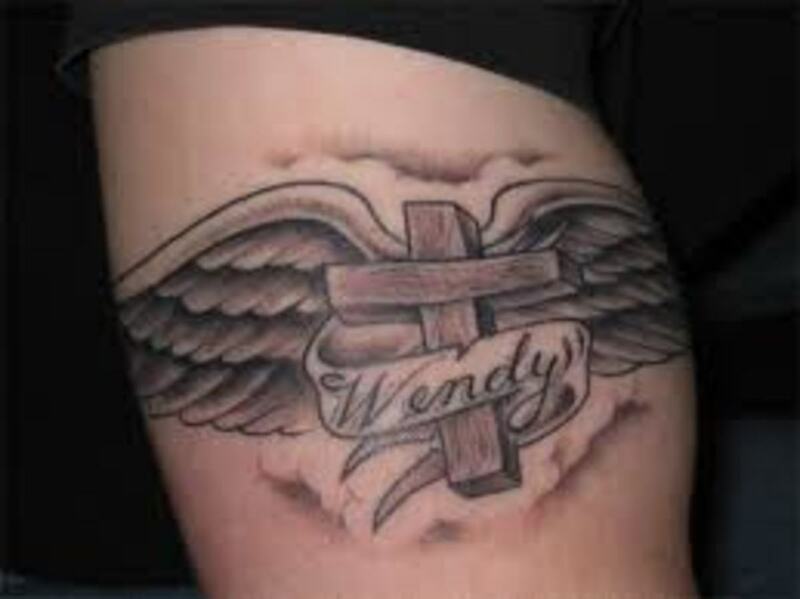 In the end, the meaning of your tattoo represents what you want it to. 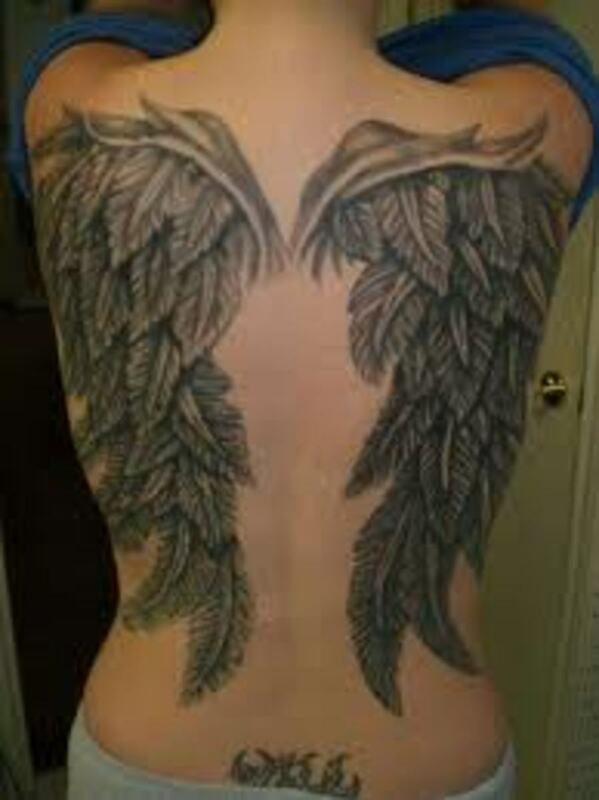 Wings are also a common design for both men and women. 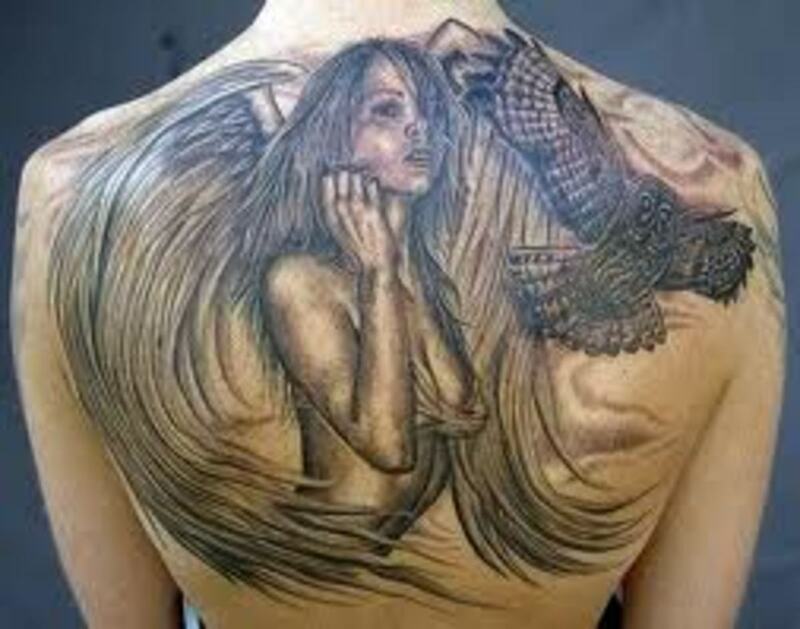 They can represent a free spirit, independence, or rising above struggle. They can be portrayed as just wings or they can be placed on a variety of different symbols, such as a cross, heart, lock and key, or halo. 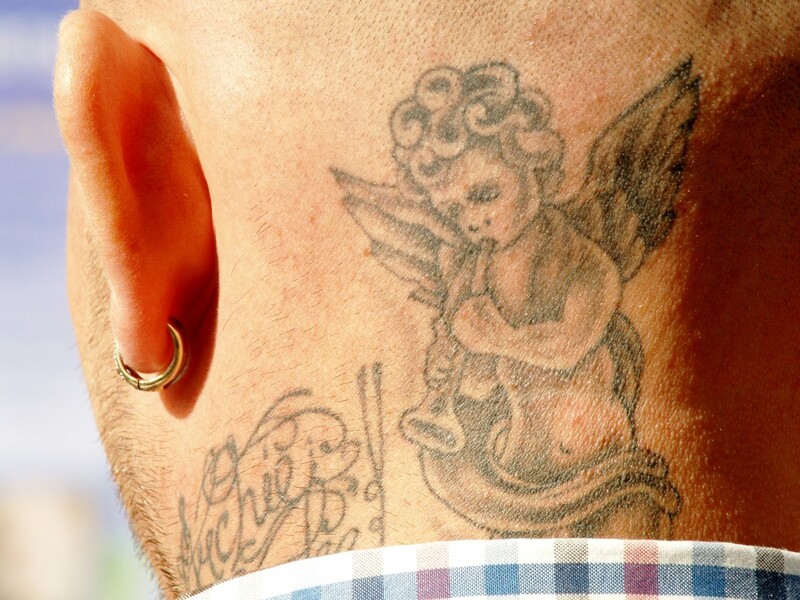 I also believe that angels watch over us, I feel that they offer us protection. 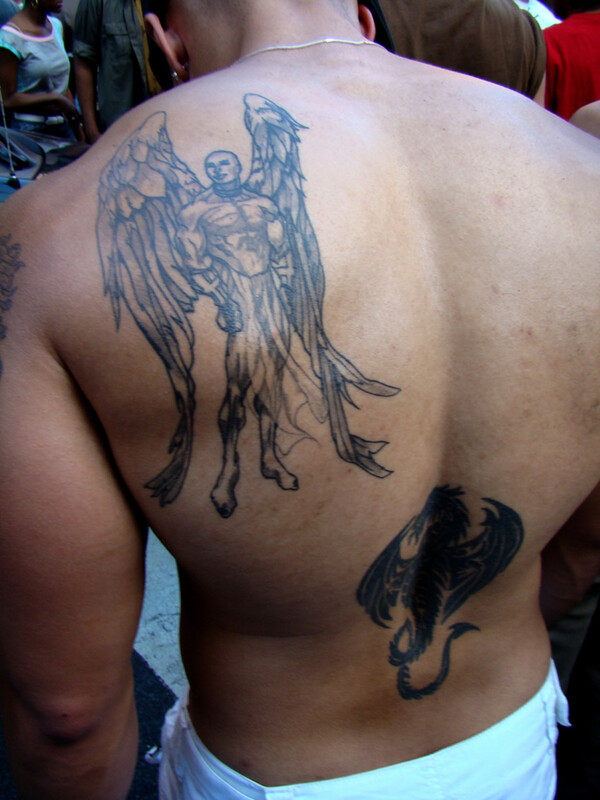 The angel tattoo is a symbol of protection, a shield from all that is evil. Best wishes always Faith, God Bless. Oh, wow, such exquisite art here of angels! I am so glad you highlighted this particular hub here, dear lyric, for I have never read it. Well, this was written 19 months ago, and I arrived on HubPages two months later, I guess. In this life, I know angels have ministered to me and protected me in my travels and in life many times. Thank you for all the hard work you put into your awesome hubs, which I know takes a lot of time to do such comprehensive hubs with amazing photos and contain so much useful information. Voted up ++++ and sharing, of course! *Ruby, always great to hear from you and thank you so much for coming by. I may be wrong, but I believe those angel collectibles are quite valuable. Not for sure. *Sueswan, thank you so much for taking the time to come by my dear. 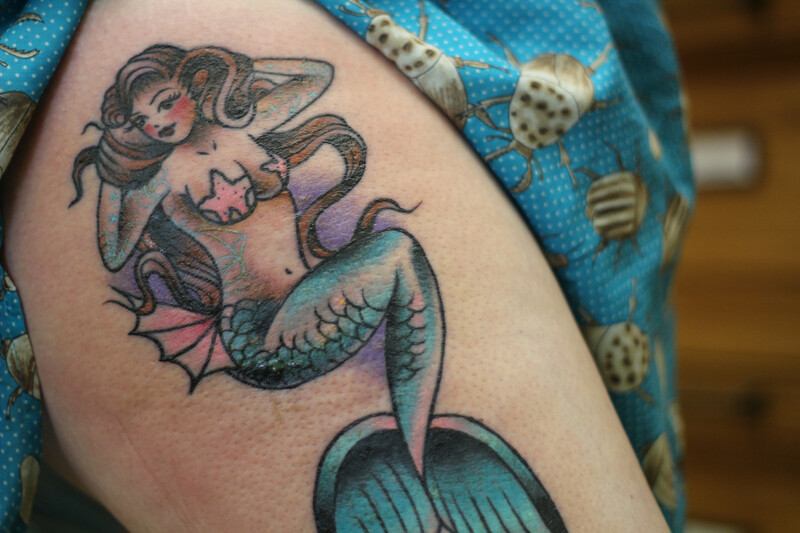 That is a unique tattoo design and a cute one. Great artist at work. Take care. 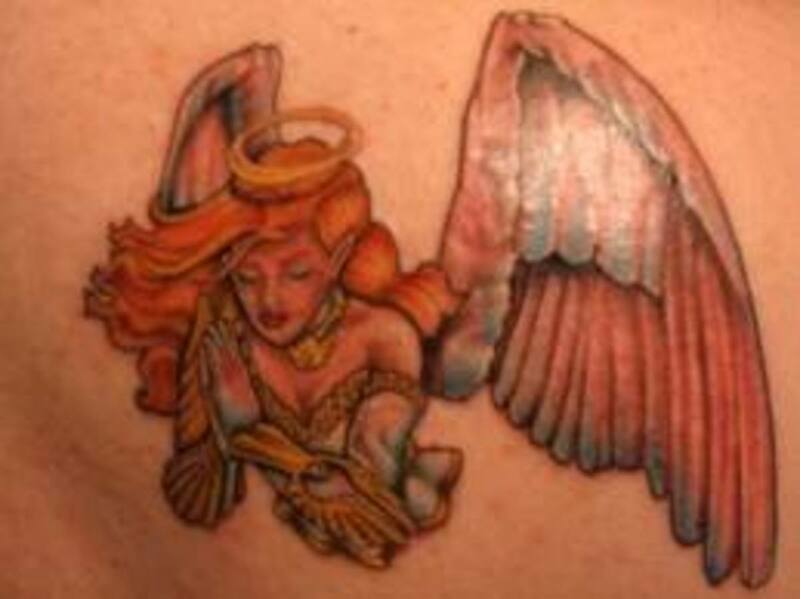 *Donna, thank you so much for coming by and all your sharing:) Angel tattoos are quite popular. 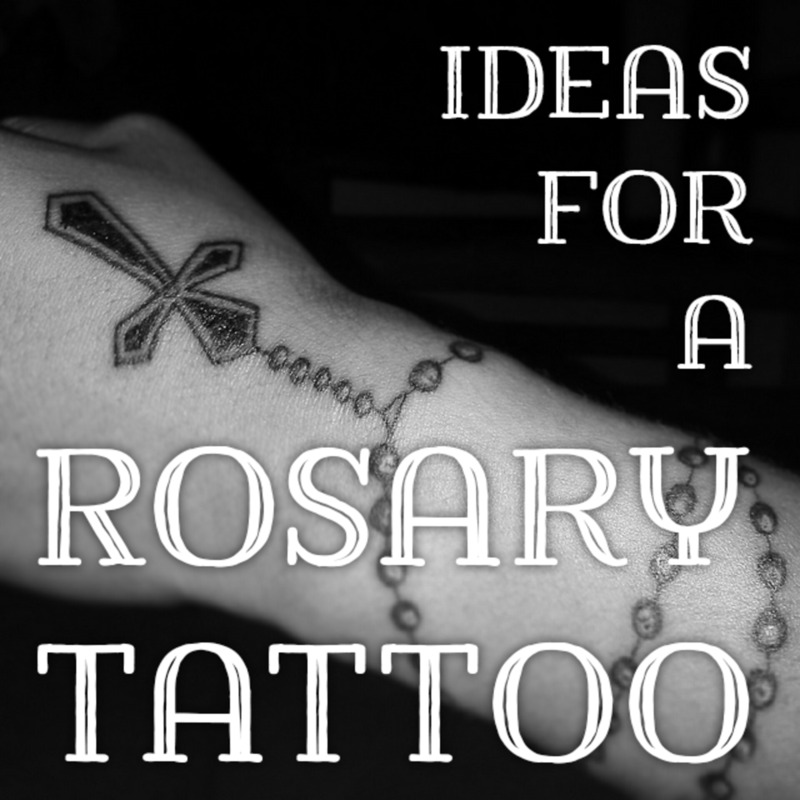 It can be a lifelong symbol of your faith or your beliefs. See you around. *bMalin, always a pleasure to have you come by. I am already smiling:) I believe there is a mystery that surrounds the angel. Sometimes we all need to feel that higher power. *Gyspy, always great to see you doll. Perfect example. I would say that is one of the top reasons people where them. Perfect phrase. See you soon. *Frank, what is up Mr. Frank? Always great to see you around pal. I am forever grateful. *Hyp, thanks again for your time and comment dear. Great choices first of all. 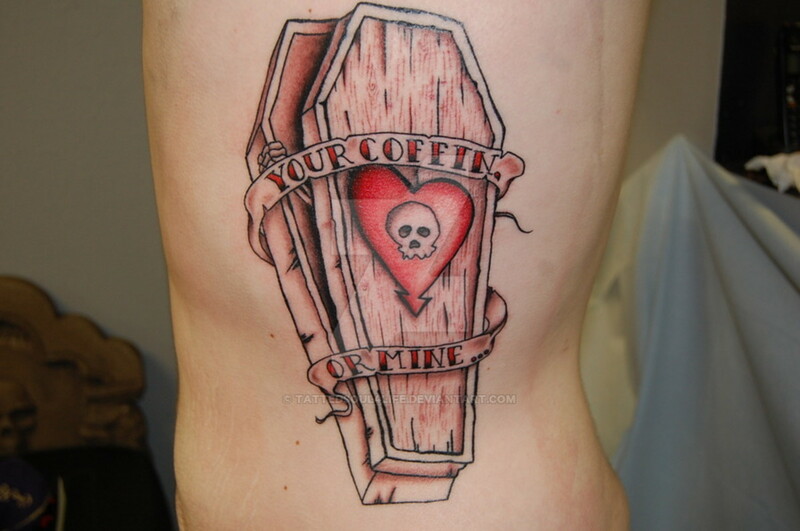 Hyp, I have been really considering it. I know a friend of mine is selling all his equipment and I want to open my own shop. I am still trying to detail my drawing skills right now. I just love everything about them. Just keeping another option open I guess. Take care. Incredibly beautiful! That 6th one down is amazing and so 3d. Of course I learned from your interesting text also. 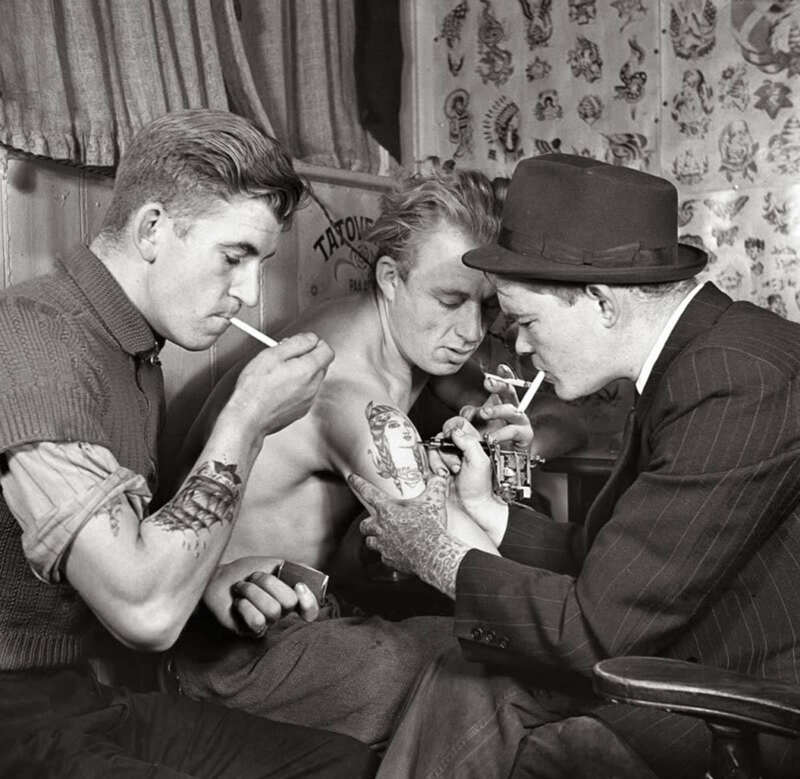 Have you ever thought about becoming a tattoo artist? You would probably excel at it. 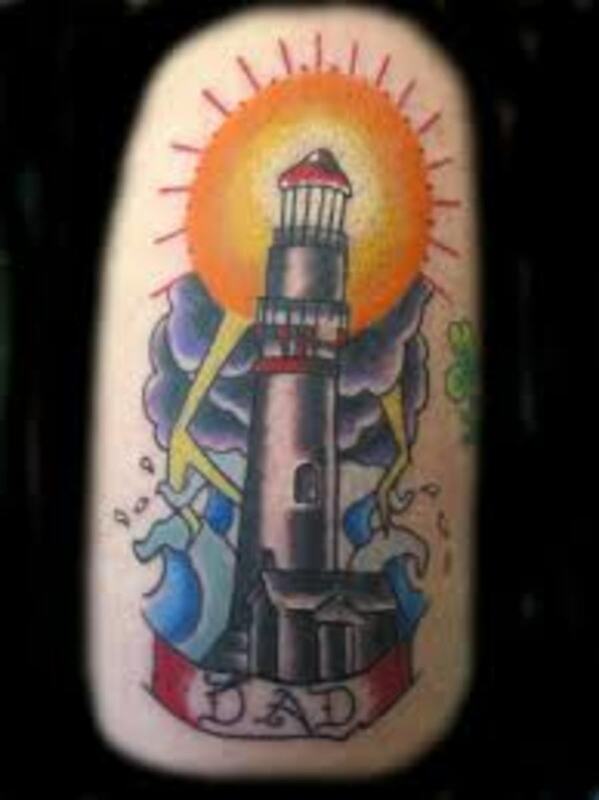 I haver been harking on about getting a tattoo done but it's always one day. 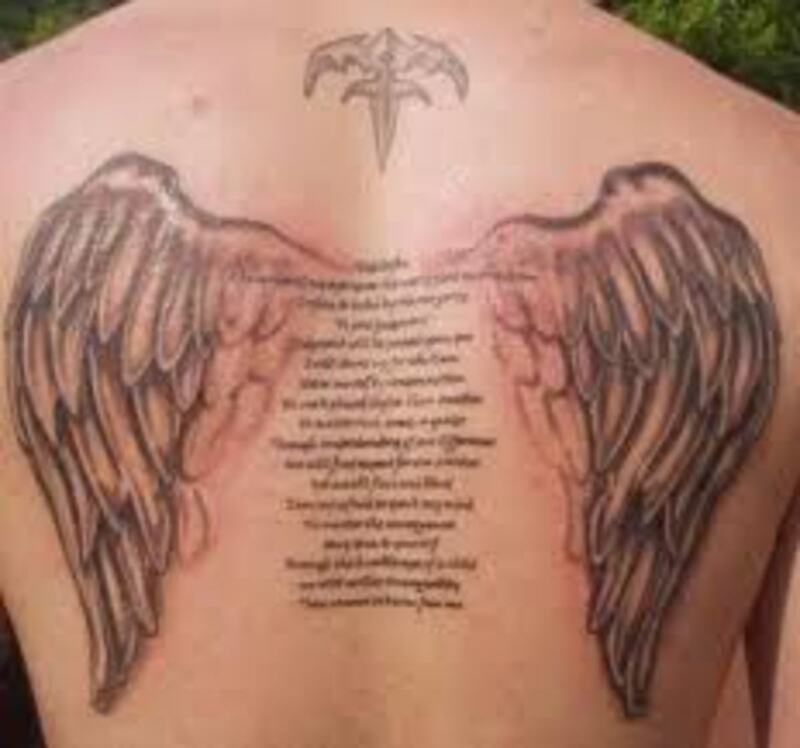 I rally did like the Angel one on here;the 12th one down. An up up and away for this one. So thanks for sharing ,take care and enjoy your day. 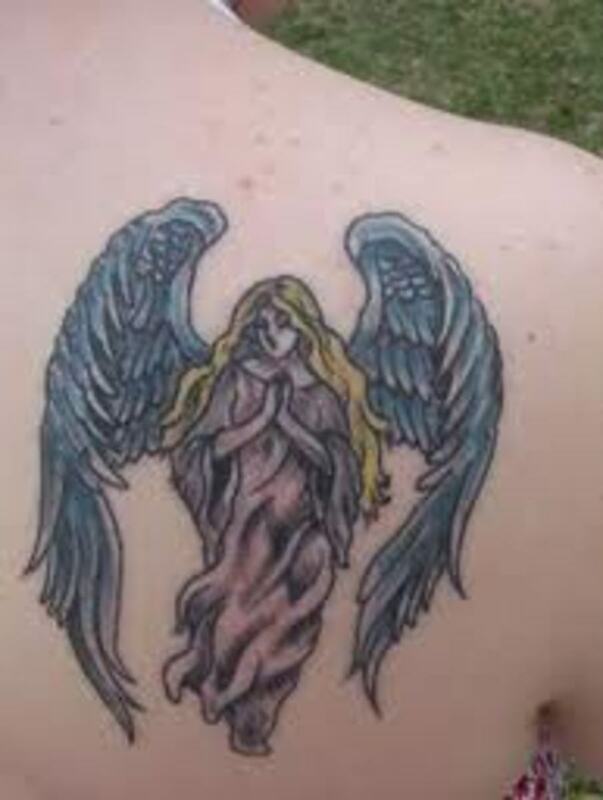 Sort of like wearing your Guardian Angel on your sleeve. 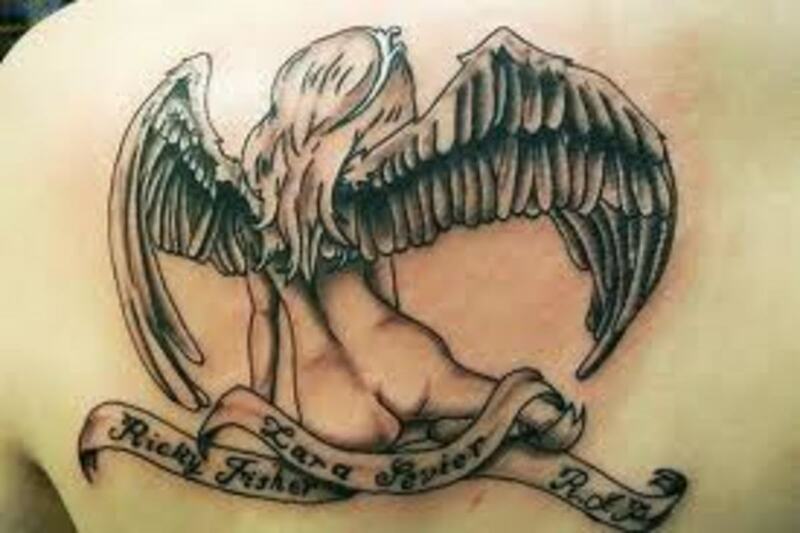 I Love Angels...and obviously so do people who get Tattoos. What a terrific Hub "Lyric," Lots of Beautiful ones as well as the unusual. Another Wonderful Hub! Oh, these angels are just so awesome! 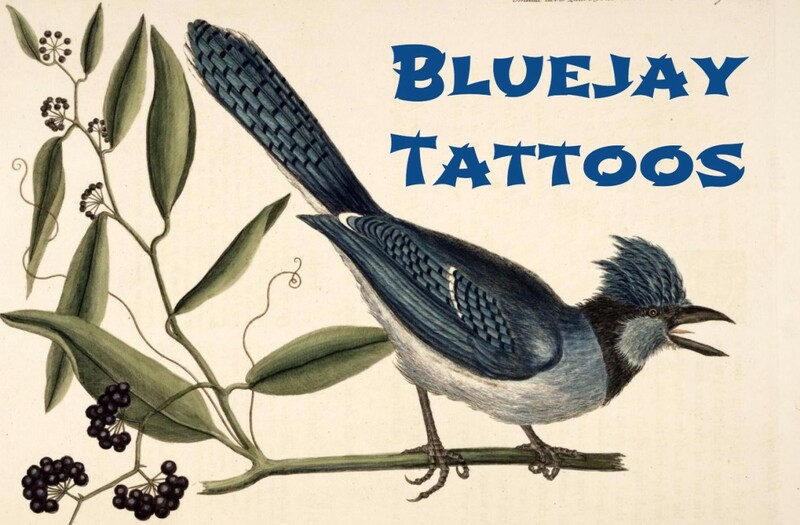 Pinned on Pinterest; my friends there are always asking when you are going to do another tattoo hub:) Thanks for sharing such incredible, wearable art. I believe in Angels. 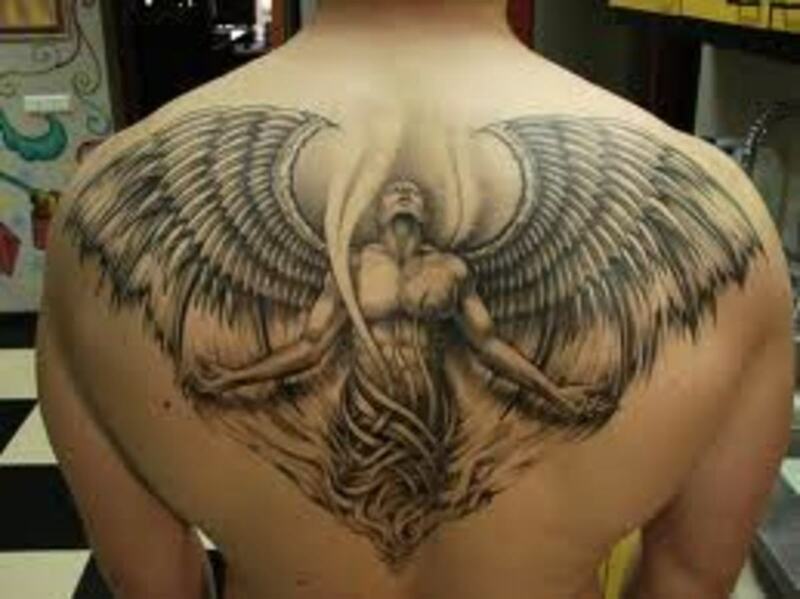 All the pictures that you have shown of Angel tatoos are beautiful and work of art but I like the one with the wings and halo(source,now1forum)the best.